Why do you want to lose weight? Really think about this. It is about so much more than the surface reasons that pop right up, like wanting to be healthier or wanting to feel better about your body. These are valid for sure, but not deep enough to really motivate you to keep at it when the going gets rough, which it will at various points. List out all these top of mind reasons, and then ask yourself why you want those things, and then those things, so on and so forth. At some point you will hit upon your true values and true desires…once you define those, you will be in a much better position to do what you gotta do. This might sound a little woo woo, but keep an open mind. There are so many diets out there, so many different supplements, so many eating plans and what not. If you are like most people, you may have jumped from one to the other hoping you would eventually find ‘the one,’ only to be disappointed time and time again. Let your inner being help you along. Set some intentions to find the optimal weight loss strategies for you, and you will be amazed at what you are led to. Listen to your body as you try different diets and what not…if it isn’t responding well, it’s not the path for you. If you find yourself struggling to do it yourself, and you wonder if you need medical intervention, carefully review your options for obesity surgery, and again, let intuition guide you. How is the Weight Serving You? This may sound like a crazy question. 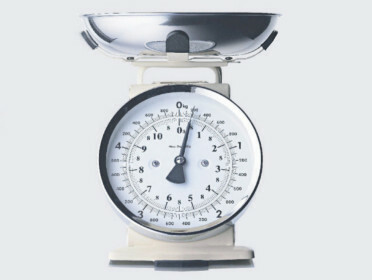 How in the heck would this extra weight be serving you? It has given you nothing but problems; you hate how you look and you’re miserable. You’d give anything to be thin. But, what is happening in your irrational subconscious may be a very different story. And while we may not consciously realize it, the things we don’t like about ourselves and our life are providing some sort of benefit. In some way, these situations are protecting us from something that we may be scared of, that we may not actually want, even if we consciously want it. In the case of extra weight, it can be an easy scapegoat for why you don’t have a lot of things you purport to want. Deep down there may be a fear you would fail in getting them, or you aren’t good enough to have them, and the weight keeps you from confirming these fears. Give it a little bit of thought and see what happens.